Prosecco is the new champagne. No doubts there. And it’s affordable, unlike champagne. And it’s ACE!!! 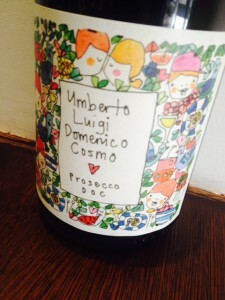 The Umberto Luigi Domenico Cosmo Prosecco NV DOC from the heartland for Prosecco, the Veneto, is fresh and bright with soft layers of fruit and subtle chalky minerality tones is just so yumand at the magical price of $22 is simply ripping value.